I know I can’t be tho only one whos’ kitchen experiments sometimes turn out…questionable. Or is it questionably? Whichever is grammatically correct. Anyway, we’ve all had moments where we’re sure the lightning bolt of genius has his us. ‘Mustard éclairs!’ we shout ‘Twice-baked rum-soaked polenta!’ ‘Chocolate steak!’. But, by and large, it is disaster, not genius that has struck. Personally, my mistakes aren’t usually to do with creativity. I’m not much for crazy fusion projects (Italian sushi, anyone?). Rather, my disasters are the fruit of my impatience. I will drop or undercook or burn myself on things in my haste to prepare food quickly. I’m never going to make a mustard éclair, but I cook the same way I eat…fast. And as a result, sometimes my creations can resemble a kind of indigestion. I have been putting off posting this recipe because for this very reason; I’m just not sure about it. Something about it just isn’t quite right. It isn’t terrible. It does work, in theory. It tastes ok. It’s good on paper. Nobody died. But I’m not convinced by it. Maybe it’s because I love panettone, buttered and dunked in coffee so much that it seems a bit redundant, like bread and butter pudding made with croissants – as if there’s any such thing as a leftover or stale croissant. Maybe it’s just not as good as the sum of its parts – all the components are delicious, so you’d expect the finished product to be even more so, but it isn’t. Maybe you can tell my what’s missing, or maybe you can fix it. Either way, here it is: Panettone Trifle. Find a container roughly the same size as or a bit smaller than the panettone. Line it with cling wrap. Dunk a round of panettone in the coffee, press into the container. 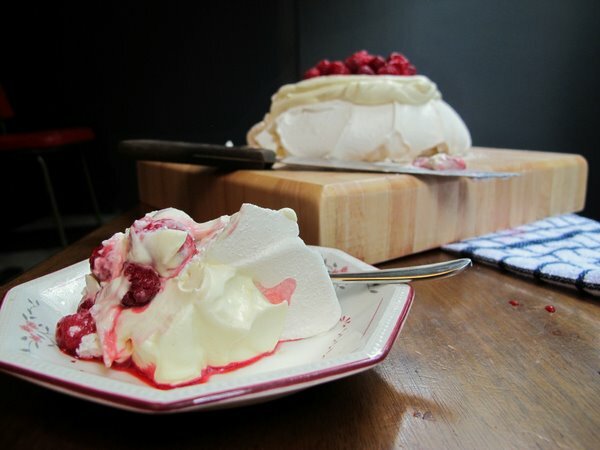 Scatter a few raspberries and slather on some custard, repeat with all layers – you should have art least 1/3 of the custard left. Cover and refrigerate. 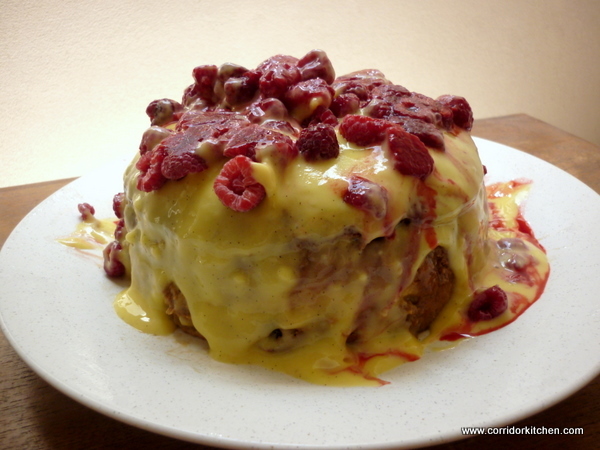 To serve, turn the trifle out onto a plate, cover in custard and sprinkle with raspberries. It will be a mess but maybe you will like it. So, do you have any questionable kitchen experiments you’d like to share? In my household, I do most of the cooking, because I’m speedy, pragmatic, and an absolute control freak. Everything I make is geared towards minimum effort for maximum results. As such I don’t prepare many of what I perceive to be ‘high risk’ foods. Growing up, every Portuguese restaurant I ever went to had three staple deserts; Mousse Chocolate, Arroz Doce (Sweet Rice) and Pudim Flan (Crème Caramel), to be washed down with as many ‘bicas’ (espressos) as possible. Although there were occasional surprises such as Baba de Camelo (camel’s dribble) or the potentially explosive Molotov Pudding, you could always find these three. My Mum had the monopoly on the Mousse Chocolate market and was not averse to making her own custard for other desserts, but she never attempted a Pudim Flan. It remained an elusive delicacy that other peoples’ mums brought to feast-like gatherings, or something made in restaurants by people who understood such things. 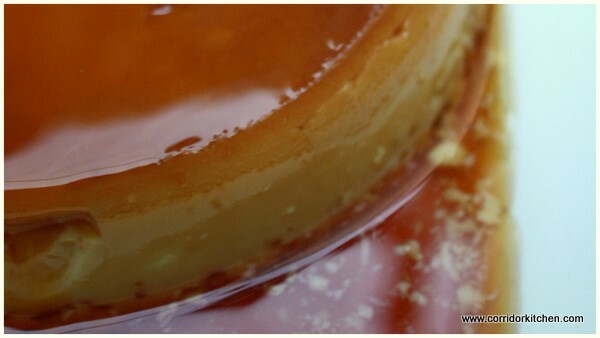 The closest we ever got to Pudim Flan was a packet of this dried stuff sitting in our pantry for many years. It’s possibly still hiding there somewhere. I have a dim memory of a packet being attempted once, but clearly with poor results as it was never spoken of again. Then in Argentina Lau discovered her love for flan, mostly through her delight of dulce de leche which is always offered with it. The Flan was an excellent excuse to eat the giant dollop of dulce, much in the way few people actually add more than a token amount of milk to their Milo to legitimise the ‘drink’ status of it. Last weekend as I was idly flipping through a Portuguese cookbook, and I came across this recipe and, armed with an abundance of fresh eggs I went to work. The question was – would Lau like it without the dulce de leche? Pour the 100g sugar into the pan with the water and rapidly heat until all the mixture has ‘foamed’ and becomes a golden liquid caramel. Pour the caramel into the bottom of a round dish- I used a 7 cup pyrex storage dish. Turn the dish quickly to spread the caramel around the base. It doesn’t matter if it’s uneven, it will melt later. In a saucepan, bring the milk up to body temperature. Whisk in the eggs and the 90g of sugar until well mixed. Pour into the dish. Place the dish in a bain marie – basically a much larger oven proof dish with boiling water coming halfway up the side of the flan. Bake for 45 minutes to an hour. If it starts to brown too much, cover it with foil. When you remove the flan from the oven, it will still be a bit jiggly – it will cool as it sets. When it is almost completely cool, run a knife around its edge, put a plate on top and turn it upside down. Serves 6. 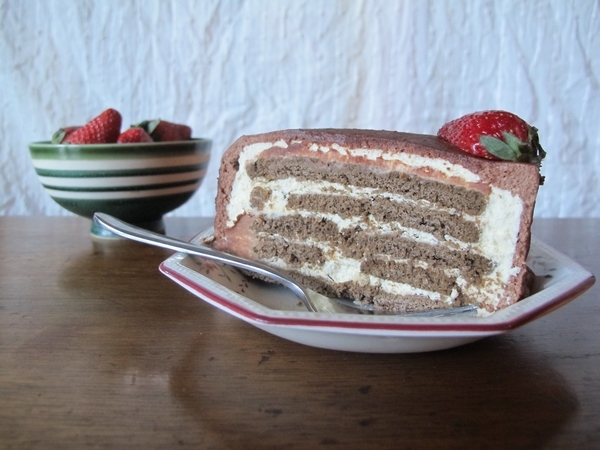 Do you have a dessert you’ve never been game to prepare? It’s no secret to anyone who knows me that I have a very sweet tooth. So imagine my delight at every hostel I stayed at in Argentina and Uruguay when each breakfast came complete with dulce de leche, the classic spreadable caramel that is liberally dolloped on desserts, cakes and even toast. 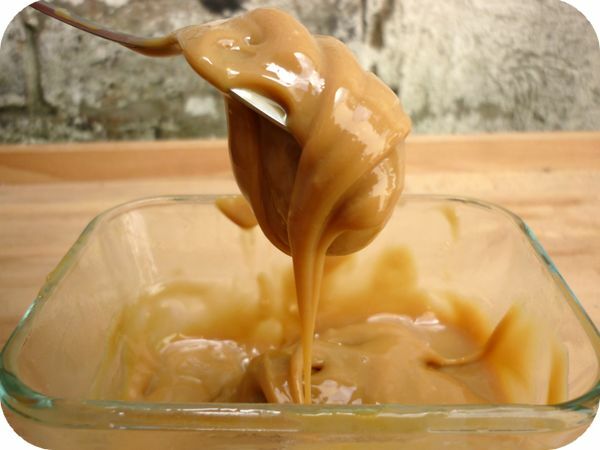 No matter how dodgy the coffee, how tepid the ‘orange fruit drink’ or how stale the bread, there was always dulce de leche to smother it and more than compensate. My favourite way to eat it was as ‘Flan con dulce’, basically a crème caramel slathered in the stuff. Heaven. It’s quite the trendy condiment these days and I’ve gotta say I’m glad of it. If you’re craving alfajores de maicena, those delicious cornflour-based biscuits sandwiched together with thick dulce de leche and rolled sparingly in caramel, you could make them yourself, and no doubt I will at some point. But if you can’t be bothered, don’t worry as Argentinian cake shops are popping up all over Sydney, from La Paula in Kingsford to Baker Street in Ultimo to Sugarloaf Patisserie in Kogarah. You’ve probably heard of this cheat’s version of dulce de leche, and I have to admit it’s not quite as good as the real thing, either homemade or mass produced. The traditional way of making it involves boiling and stirring a litre of milk with sugar until you reach the point of thick caramel deliciousness. However, the cheat’s version yields an acceptable result, and when you consider how little effort goes into it. 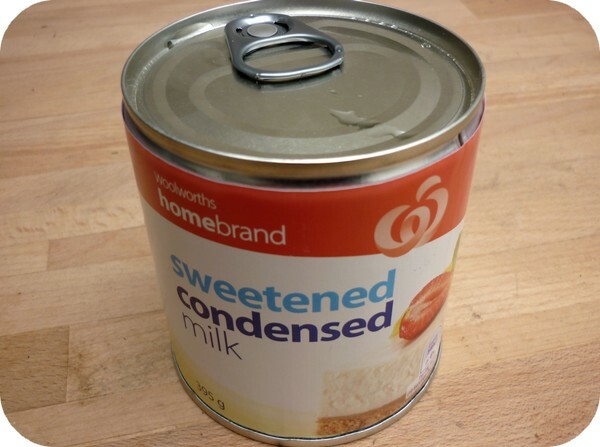 Put the tins of sweetened condensed milk into a large pot. Boil enough water to more than cover the tins. Place the pot on the stove and pour the boiling water over the cans. Bring to the boil. Once the water is boiling, turn the heat down to a simmer. Simmer for 2-3 hours, making sure the tins are completely covered with water at all times as there is a chance they could explode. Leave the tins to cool in the pot for an hour or more. Empty each tin into an airtight container and stir through the vanilla if using. Serve on everything! 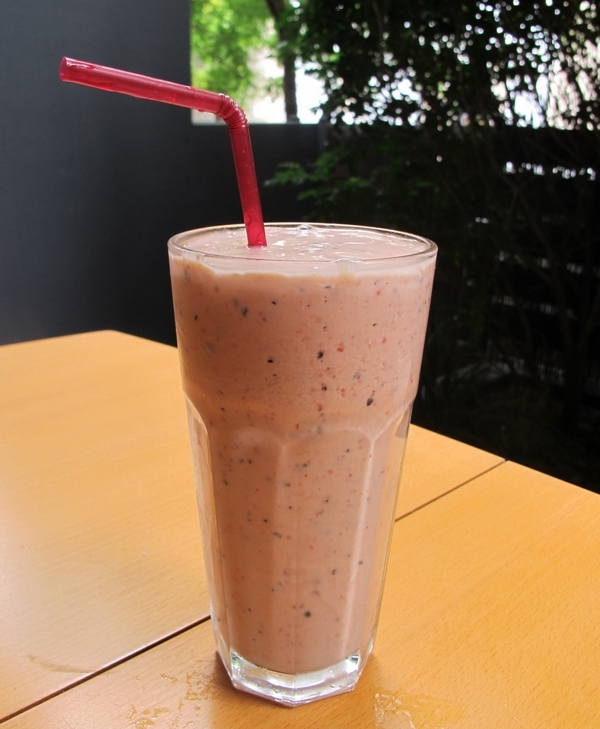 So, do you have a food that you’re craving from overseas? It’s no secret that Christmas is all about eating, and not just the day of. People often make (or buy) and give treats as gifts, anything from shortbread to jam; rich, wintery foods that will keep for months but when you think abou it, make little sense in the context of an Australian (summer) Christmas. Let’s face it, there are only so many chutneys and flavoured oils you can fit in your pantry. I never really understood why people would make food to give on the most food-laden day of the year. It’s certainly not something I could be bothered doing. That said, I’m totally in favour of tasting the fruits of someone else’s labour, especially baked goods. Christmas baking is a tradition that many hold dear, including my friend Gina who spent her spare time this week baking fruit mince pies and the traditional Italian Christmas treat paneforte, kind of a distilled, nutty fruitcake. I took great delight in photographing the ‘pan-for-day’ (as we say in a broad Aussie accent) and all its preparations. Neither Gina nor I could pronounce its name to the satisfaction of her Italian housemate, who took the piss out of us incessantly. That was fine by me. I was taking home a mini paneforte for lunch! Paneforte is quite flexible. You can use any glacé fruit and any nuts you like, just make sure you have the right amounts. If you don’t feel like chopping nuts, you can leave them whole for an ‘extra chunky’ paneforte or pulse them (briefly) in the food processor. If you can only find dried fruit, not glacé you can use it but keep in mind the paneforte will be drier. Gina’s best tip? 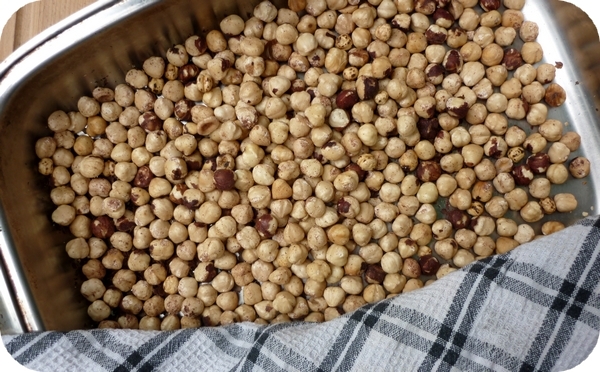 Buy peeled hazelnuts. Peeling hazelnuts is a pain in the arse. And the Aussie twist? Glacé pineapple. 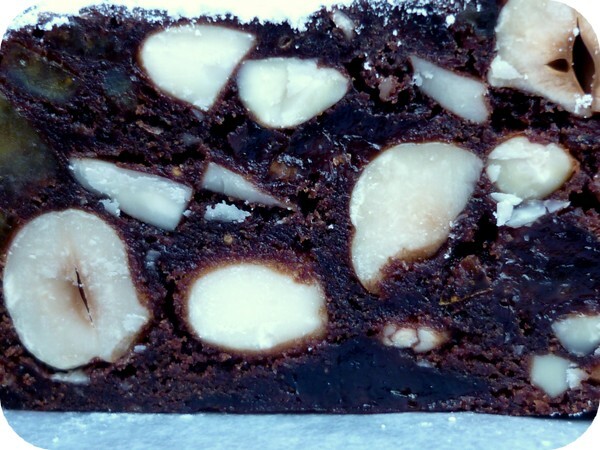 Roast the almonds and hazelnuts in a baking dish. Once cooled, coarsly chop the nuts, along with the glacé fruit. Sift flour, cocoa and cinnamon together. Stir to combine. Stir nuts and fruit into dry ingredients. Melt honey and sugar together on a low heat. Bring almost to the boil and simmer for 5 minutes or until thick and syrupy. Take off the heat, let cool for 5-10 minutes and then stir through chocolate until melted. Pour wet ingredients into dry and stir until completely combined. This will take a lot of elbow grease! Line a 20cm loose-bottomed round quiche tine with baking paper. This is essential – if you just grease the tin the paneforte is sure to stick. Dollop the mixture onto it and cover with a second sheet of baking paper. Press the mixture down to flatten it, right to the edges, to get rid of any air bubbles. Cut off excess paper. Bake for around 35 minutes or until the paneforte has just lost its sheen. If you overcook it or even burn it, just leave it in an airtight container for a couple of days before serving. This will soften it. Lasts 3 months if not exposed to air. What dish do you most look forward to at Christmas?